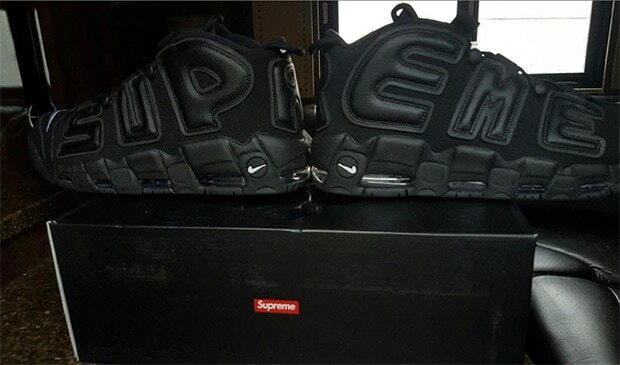 Following the first leak of the upcoming Supreme x Nike Air More Uptempo, we now get a first look at the Supreme x Nike Air More Uptempo “Triple Black” releasing later this year. 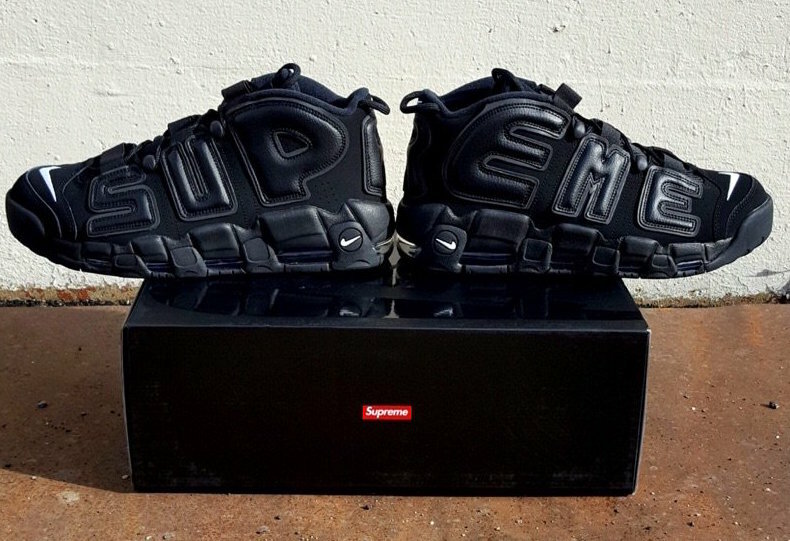 The Nike Air More Uptempo “Triple Black” features a full black upper with a white swoosh on the front, as well as matching letters that read “SUP” and “EME” on the sides. 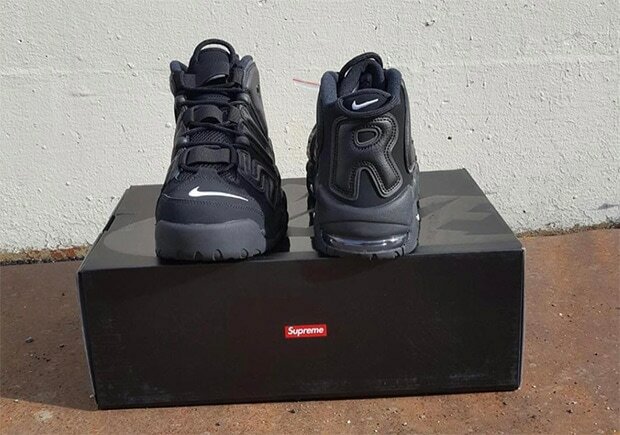 The letter “R” completes the Supreme branding on the back. A black midsole, black lining and black laces complete the triple black look. 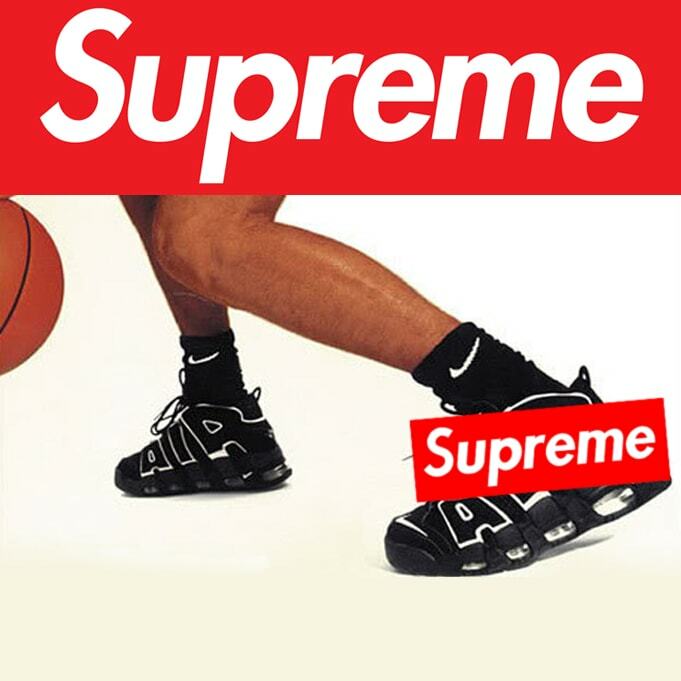 It is also possible that we will see multiple pairs release, as Supreme and Nike typically drop more than one colorway in their collaborations. Although we don’t have an official release date, they are expected to release sometime Spring 2017. 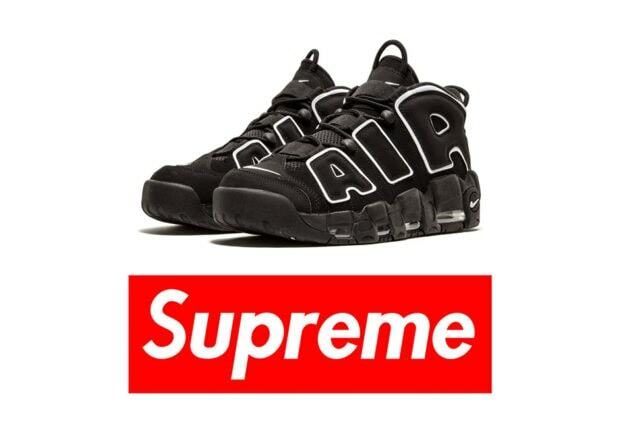 What are your thoughts on the Supreme x Nike Air More Uptempo collaboration? 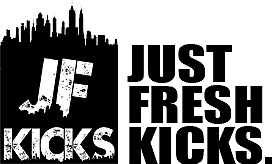 Be sure to let us know what you think in the comments section below and stay tuned with JustFreshKicks for more updates.